Finally saw this on DVD last night and it was rather good! I’m not a huge Tom Cruise fan but I absolutely loved Jeremy Renner! But what was even more cool was that we went on Amazon streaming (our DVD player as internet connectivity) and were able to watch the pilot episode of the 1966 Mission: Impossible TV show! Everything was SO neat because it was from the sixties. I had never seen the original TV show before. Any of you saw this show? I KNOW!!!!!!!! I totally want to see it!!!!!!! 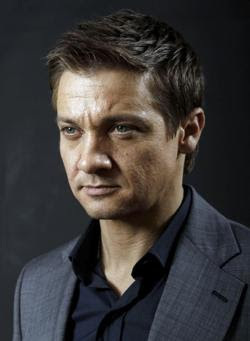 jeremy renner, ha cha cha!!! i loved him in ghost protocol, but too bad he was possessed for half of the avengers movie...with those creepy eyes. *sigh* the bourne movies are my faves and i'm so glad he's in it...guess he's my new fave guy!